Stone Adventures is the one stop adventure company / venue in Parys that will make all your adventure dreams come true ! Only an hours drive from Johannesburg just outside the beautiful town of Parys, in the Vredefort Dome World heritage site. We are surrounded by the Vaal River, mountains and beautiful scenery which forms the perfect venue for great adventures, corporate team building and much more. Stonehenge in Africa, a River Side Lodge, is situated 110km from Johannesburg on the outskirts of Parys. Surrounded by picturesque mountain land and the majestic Vaal River, Stonehenge offers luxury accommodation and a wide variety of fun activities. All rooms are equipped with LED TVs, fans and en-suite bathrooms. 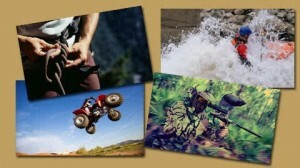 Adventure activities include river rafting, abseiling, quad biking, paintball, skydiving and many more. The venue offers two different size swimming pools, a volley ball court & Pool table. The region is rich in bird life. This tranquil environment will let you leave relaxed and rejuvenated. River Rafting, Team Building, Bachelors Parties and Conference Venue in Parys – Contact Stone Adventures today for a Quote! !